Very often, our computers running on Windows 10 slow down due to the storage space filling up like anything. This is mainly caused by the temporary user and system files piling up and also the Recycle Bin not being cleared away. However, the Disk Cleanup tool in Windows 10 can help you get rid of all these files. 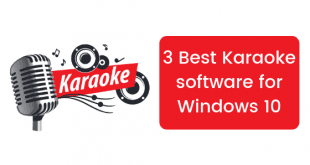 So today we’ll be teaching you how to open & use Disk Cleanup tool in Windows 10. So let’s get to it. There are more than one ways in which yo can launch the Disk Cleanup tools. Some of these are mentioned below. 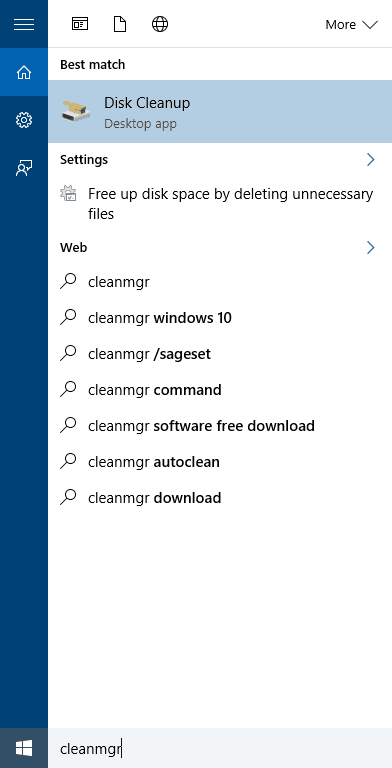 Press the Windows button on your keyboard and then type ‘cleanmgr’ in the Search box. Then click on the ‘Disk Cleanup’ app. 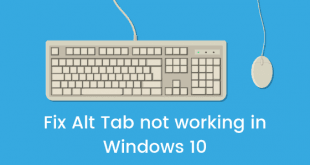 Press the ‘Windows+R’ keys. This will open the ‘Run’ box. Type in ‘cleanmgr’ and click on OK.
Open the command prompt window by holding down the shift button and right clicking. 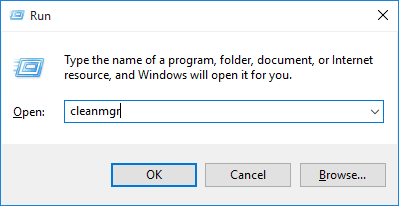 Then proceed to select the ‘Open command window here’ option. In the command window, type ‘cleanmgr’ and hit enter. So now that you’ve learnt several ways to open the Disk Cleanup tool, let’s learn how to use it. 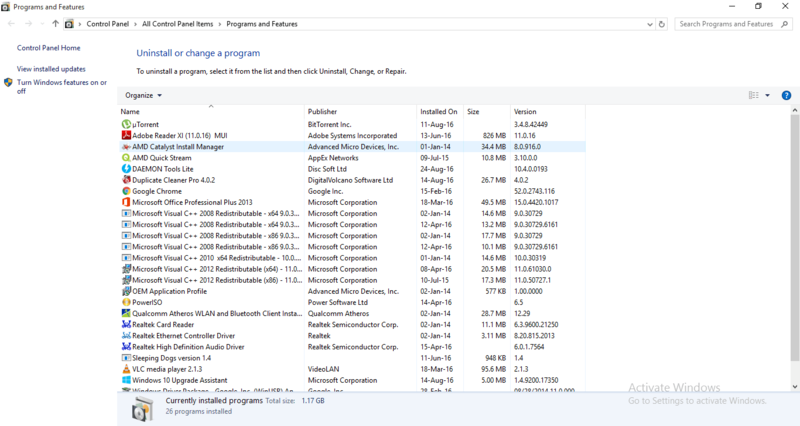 The Disk Cleanup tool is just a small window when it launches. Not only can it be used to clean the temporary and unwanted files, it has a variety of functions. Each of them is explained below. However, for each option, you have to choose the drive you want to clean. After selecting the drive you want to cleanup, proceed to select the different types of files you want to delete. Once the files are selected, click on OK. You will then be asked to confirm by clicking on the ‘Delete files’ button. Click on this to proceed. In the Disk Cleanup tool, click on the ‘Clean up system files’ button. 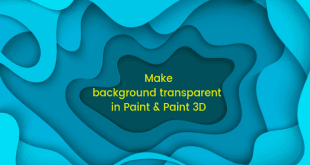 You will need to be signed in as the Administrator in order to be able to do this. Then select the drive you want to clean. Next, select the types you want to clean. When done, click on the OK button. Like before, a confirmation pop-up window will appear before you. Click on ‘Delete files’ to proceed. 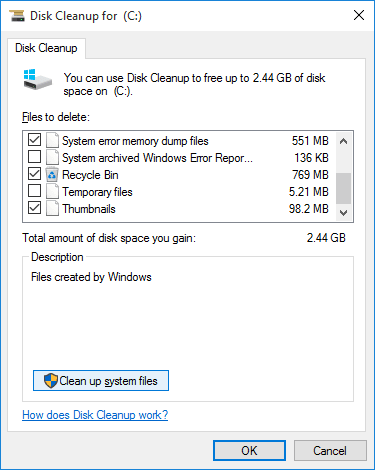 In the Disk Cleanup tool, click on the ‘Clean up system files’ button. This requires administrator access. Next, click on the ‘More options’ tab. You will then see a ‘Clean up’ button under Programs and Features. Click on this button. You will now be taken to the Control Panel menu from where you can choose which programs to uninstall. 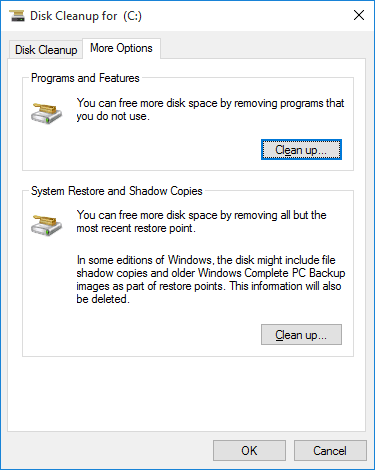 So this was our article about how to open and use the Disk Cleanup tool in Windows 10. Leave any queries or suggestions in the comments section below and stay tuned for more tips.